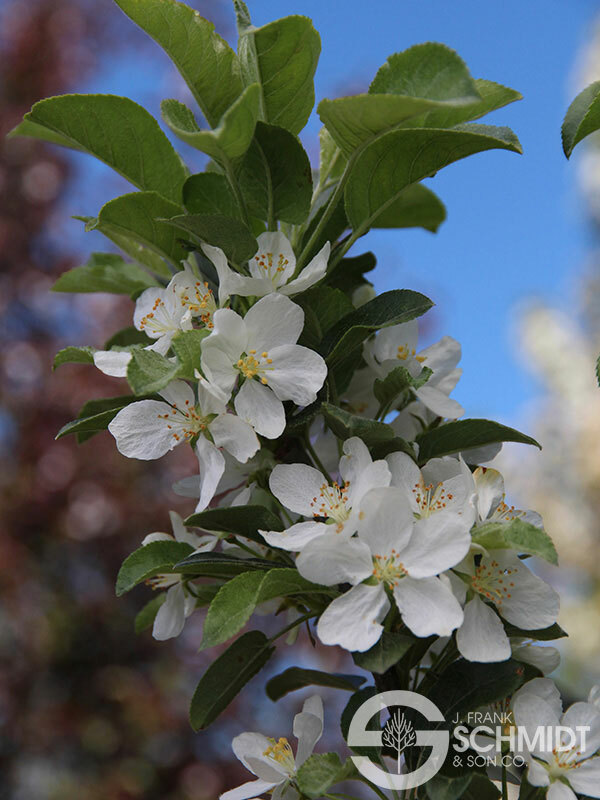 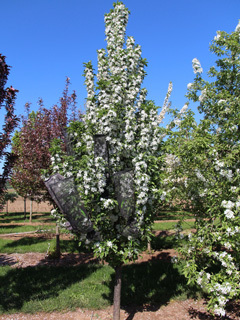 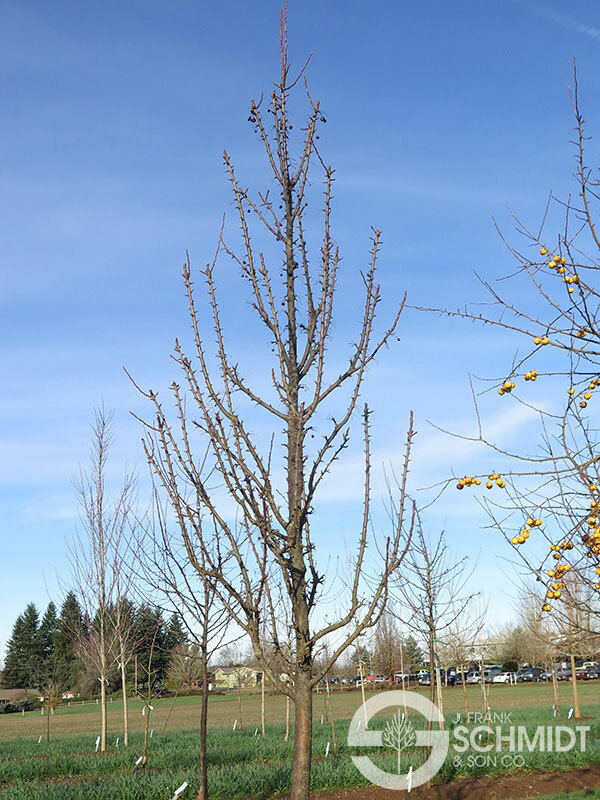 Deep pink buds open to white flowers on this densely upright, narrow crabapple. 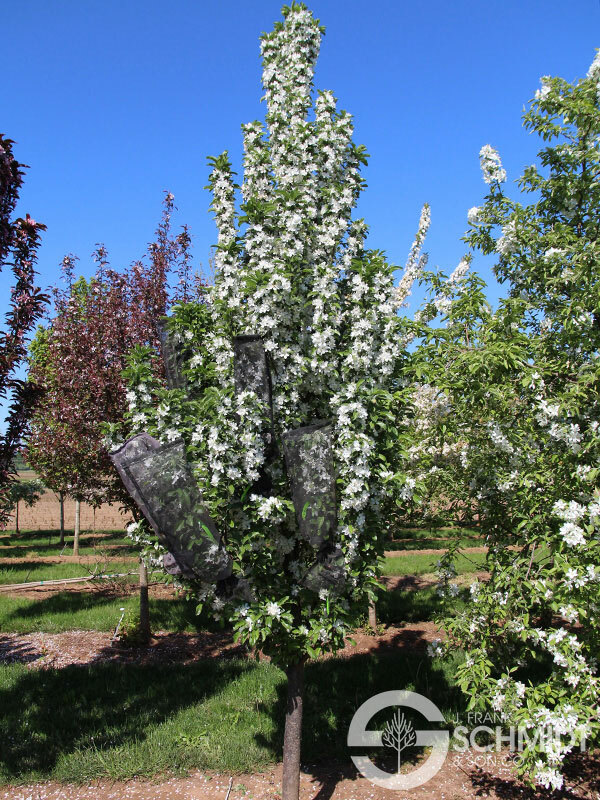 Leaves stay clean and disease free throughout the growing season, forming a uniform column of dark green foliage in the landscape. 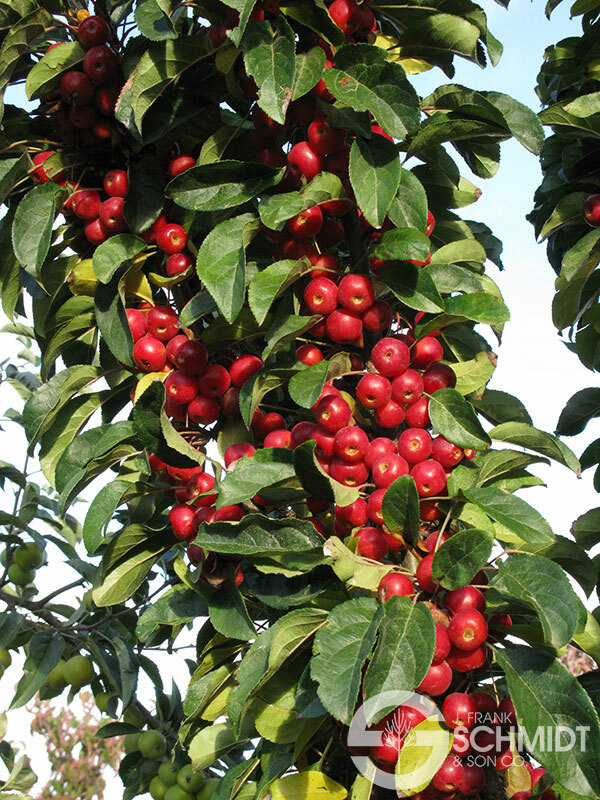 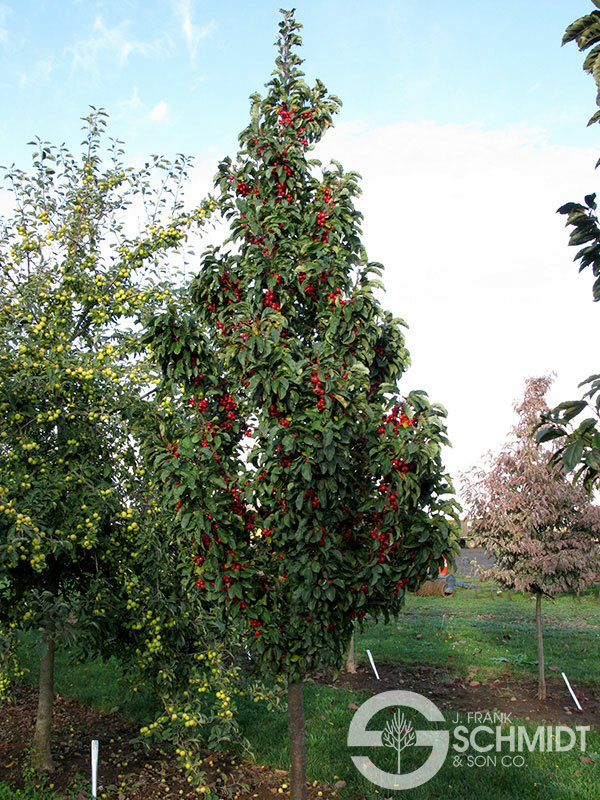 Bright cherry red fruits contrast well with the dark green leaves and persist into late autumn, when a touch of yellow fall color adds seasonal interest.